Already on Saturday October 1, we wil meet on karting track, again. 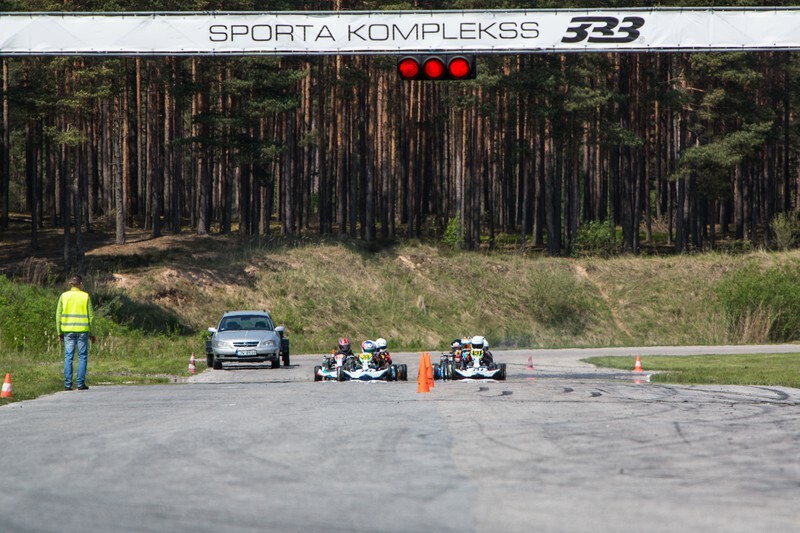 This time, both of the last Latvian karting season stages at SK333. This will be the final or seventh Pro-Kart stages and LMT Autsport Academy final, fifth stage of this season. We remind you that yet until Wednesday (28.09.) 24:00 actively going for participants race. It is, as always, it is possible to do www.prokart.lv website, in the "Race". All, with the competition-related provisions can be found in the "Terms". The final stage will be offered up to now unprecedented track configuration, with where more likely to meet the competition "Regulations". As usual the season in the final phase with kartings ride veterans and mechanics. In other words, each veteran and / or mechanic will be able to drive track according to their training opportunities. Races will take place both in the sport and with rental karts. This race will also include the LMT Autsport Academy standings awards ceremony. It should be noted that the registration of participants, the technical commission and registration on Saturday, will take place from. 8:00 to 9:00. Shareholders' Meeting will be held in parallel from. 8:30 to 9:00. We remind you that participation in the meeting is mandatory. Participants Park opens on Thursday 29.09.2016. from. 8:00. Participants accommodation places are granted only competitors. Places are not pre-booked. Race officials allocate them in the order in which the participants arrive at the spaces. As well as participation in the award ceremony is mandatory. The total estimated duration of the competition 01.10.2016. It is from. 8:00 to 19:00. Recalling that the SK333 is the strict rules of site use - strictly forbidden to be drilled asphalt pavement, as well as racing machines to be placed on PVC or similar material surface, in plain language terms, not tents pieurbt to the asphalt below and kart must have carpet. For non-compliance provided for severe penalties, up to 300 Euro. We remind you that the results of the background, a photo and video of the season 24.09. 2016 Stage 8. www.prokart.lv possible to find the page in the "Race / 2016"
We wish all success to finish this season well and this period certainly doesn’t end in nothing, because already we all meet again on November 26 at art space "Dizaina Fabrika" on the Latvian Championship and the Pro-Kart Series standings Awards ceremony! Certain details in relation to the Awards ceremony will be announced after the final stage, so - follow up!